My friend Liz Noffsinger spends a lot of time on Sanibel Island. She hits the beach just about every day with her camera and is an avid bird photographer. She’s obviously been watching the nest and was anxiously awaiting the hatching when I spoke to here two days ago. 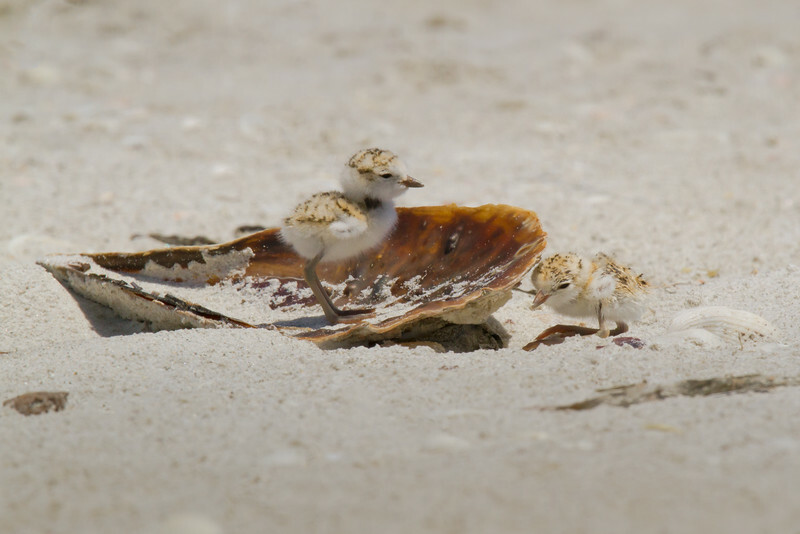 Here are some of her shots of the snowy plover nesting and showing new hatchlings. Brand new babies on the sands of Sanibel. See more of Liz’s photography on her website. Rick…How very nice to see my “babies” on your blog. After just one day they have almost totally disappeared from view. They forage for food all over the beach and their tiny size makes it very hard to find them. Isn’t nature amazing? Yes, amazing. But what’s also amazing is you persistence in obtaining these photos. You did a great job, even though, I know, you would have wished for better quality photos, you told the story and that’s worth the time invested. I’m sure you’ll remember this adventure for some time. These are wonderful shots Liz!! !